Like all check valves, these mechanisms are designed to prevent backflow that might otherwise cause damaging flooding, cross-contamination or pressure surges, which could all be a source of system failure or decreased productivity. Lift check valves are installed in the pipelines of various industrial facilities as well as commercial and residential plumbing. Industries such as water treatment, medical, food and chemical processing, petrochemical and agriculture use this particular type of pump to normalize the unidirectional flow of various materials such as water, chemical vapors, air, steam and more. Boilers, mixers, faucets and metering pumps employ this type of non return valve. When installed, a disc or cone-like plug rests on the seat or passageway in the cross section of the valve, blocking the flow of materials. When fluid or gas flows at the optimal pressure or higher in the pre-determined acceptable direction, it pushes the disc away from the seat. As the disc, also known as a lift, slides along an attached rod located on the downstream side of the check valve, it creates a gap through which the process stream may flow. When this forward flowing pressure drops and downstream pressure reaches the valve, the disc or cone is quickly pressed back into place. A tight seal is created that prevents backwash. The design or configuration of a lift check valve is similar to that of a globe valve. The body is a semi-spherical or cylindrical device that is installed mid-stream into a pre-existing pipeline. An internal baffle divides this compartment into two halves. At the center is the valve seat, or opening, into which the aforementioned disc or cone-like plug can be placed to form a seal. This stopper is attached to a dowel, which in turn is attached to the downstream wall of the sphere or cylinder. Known as a stem, this is a cold rolled or extruded rod along which the disc slides as it encounters pressure from the process stream. The cylinder, seat and disc of a lift valve are most commonly made of durable metals such as aluminum, stainless steel, brass and iron. Despite their popularity, these materials can be used only in applications where slight leaks may be permitted. However, plastic and elastomeric components can compress and create a tighter seal that will eliminate the risk of potentially harmful leaks. It is important to consider the process stream and the chemical compatibility of these materials when selecting the proper valve. While traditional lift check valves are more common, piston lift valves offer a slight modification. 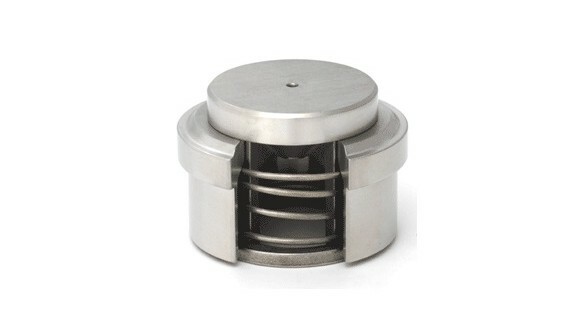 Instead of a cone shaped disc, a piston shaped plug is used with a dashpot, providing damping during operation. The use of a dashpot reduces valve wear, which thereby increases product longevity. Although both traditional and piston lift check valves are often bulkier than alternatives such as wafer check valves and swing check valves, it is a robust device that is suitable for installation in both horizontal and vertical lines with upward flow. 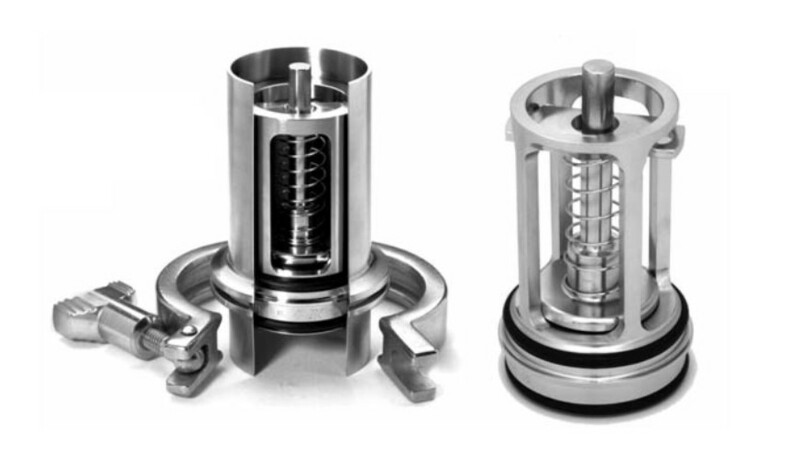 Lift Check Valves Lift check valves utilize a guided disc to regulate the directionality of gas and fluid process streams in a number of industrial, commercial and domestic applications.